I love jewelry. I love it so much that Chris had to hang a pegboard in my closet for it all. I recently got a bangle set and a necklace set from inpink.com, and I realized that I'm going to need a second pegboad wall because mine is only going to get fuller now that I've learned about them. Connie, the owner of inpink.com, contacted me to see if I would like to do a giveaway on Adored Austin. I looked through their site and loved everything; there is truly something for every woman at In Pink. 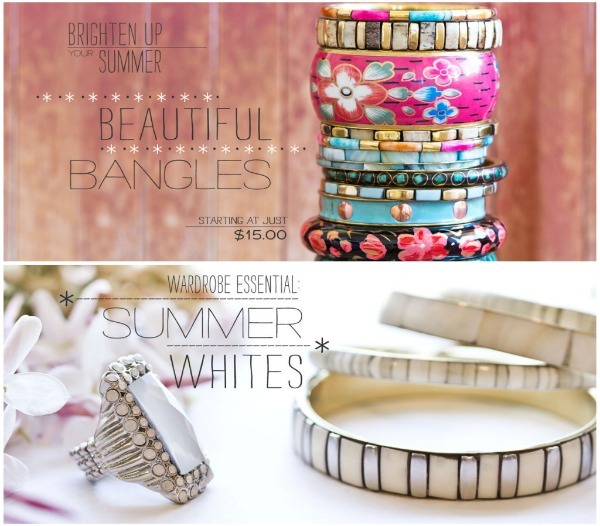 They have colorful bangles, understated silver jewelry, and even an adorable owl necklace. With an average price point of around $20, a $40 gift certificate will get you a couple of really great things. If you can't decide what to get, they even offer a live chats with a stylist or email advice to help you style up your new baubles. When she told me she wanted to give away 300 $40 gift certificates I thought that surely she had a typo. Three winners, perhaps? I double checked. Nope. THREE HUNDRED Adored Austin readers will win! This is the greatest giveaway ever done at Adored Austin! 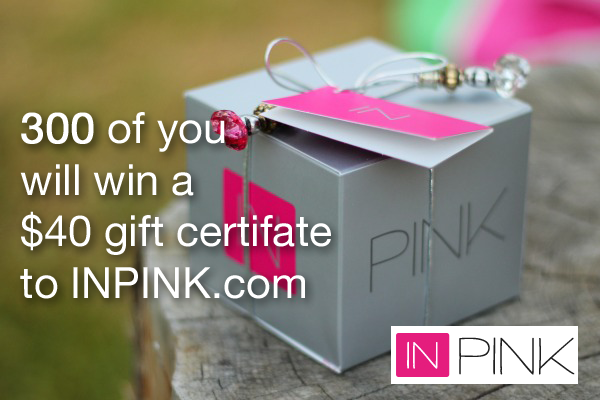 To be eligible, please check out inpink.com, pick out your favorite item and then fill out the form below. As always, no need to retweet or follow social media links or reblog for additional entries. Please only one entry per person (share the wealth!). The 300 winners will be chosen at random, and you have a really good chance at winning, so go get browsing! Your gift certificate will arrive in the mail, beautifully packaged (proof). Feel free to use it yourself or give it as a gift. EDIT: form removed. Entry period over. List of winners to be published soon.